All concerts start at 7 PM. Presented by Seattle Improvised Music and Nonsequitur. Made possible in part by support from the Seattle Mayor’s Office of Arts & Cultural Affairs. Now in its 27th year, the Seattle Improvised Music Festival is the longest running festival of its kind in North America, an annual meeting place for improvisers at the forefront of improvised music in North America and around the world. 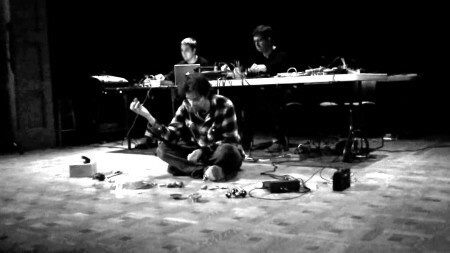 SIMF offers Seattle audiences and musicians the opportunity to witness innovative experimental improvisation in music and sound by a host of practitioners representing a sampling of the world’s major players, scenes, and movements. This year’s festival features visionary musicians visiting from Tokyo, Berlin, Arizona, BC, Philadelphia, Portland and of course Seattle, performing in solo and duos, as well as first-time collaborations with Seattle Improvisers. For a complete list of artists, instrumentation, and bios, go here. ← Phil Kline’s Unsilent Night + Party!